Once again, we had a great tournament on Sunday 26th Feb, with over 70 competitors. Congratulations to everyone who took part, and of course in particular to all those who placed. Someone has to win; that's what competition is all about. A big well done also to all the officials. For some of them it was the first time "live" and they all performed very well. Still, there's always room for improvement, as with anything in life, and we will always strive towards that. Thanks also to the volunteers who handled the score keeping. A big thank you to all the parents who supported the event by making the effort to be there while their children learn to compete, to deal with winning and losing, sportsmanship, teamwork, and camaraderie. Needless to say, we also thank all those who helped set up the day before and pack up after the tournament. These are important components of any tournament, and we always welcome people who volunteer to help (as we all do) with all the logistical aspects of our events. Let us know if you'd like to help with the next one. The next tournament for IFKKA is Full Contact - from 11 yrs/ 8th kyu and up, 26th June. We had a great time at the recent IFK-Australia Summer Camp with Shihan David Pickthall from the UK taking 3 days of great karate. Covering areas of Kihon, Kata and Kumite, with around 60 people attending the camp over the 3 days. What a treat to train with such a talented and inspirational Karateka such as Shihan David Pickthall. Again the highlight of the camp was the beach session on the Sunday morning we all had a lot of fun. Again it is great to see other Kyokushin Organisations supporting this event, thank you to Sensei Daniel Trifu from (KWF) AFK, Sensei Graeme Rose “Rengokai”, Sensei Daniel Langworthy and Shihan Trevor Trainer and for bringing along your students. As we are all working towards a United Kyokushin! Osu and thank you for your support. 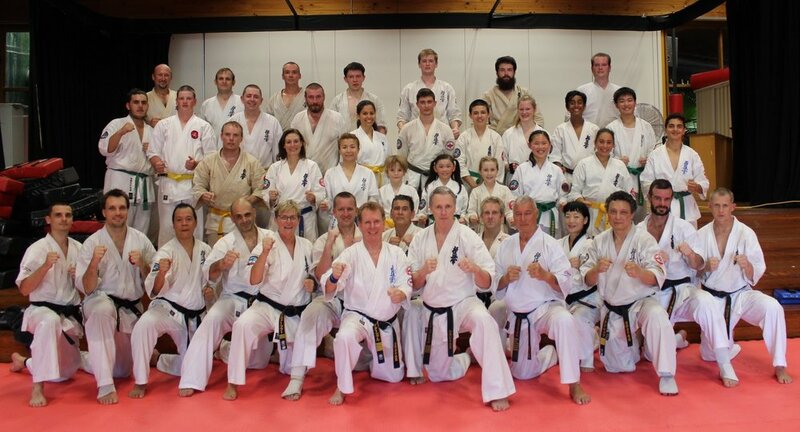 The IFK Australia hosted their Summer Camp in Sydney from 23rd-25th January under the guidance of Shihan David Pickthall. There were 10 sessions covering aspects of the IFK Syllabus, Kata and Kumite plus beach training. This open event was also supported by senior instructors of other Kyokushin groups. Thanks go to Shihan Doug Turnbull and Senseis Shaharin Yussof and Jenny Fuller for all their hard work organising the event.